I am drawing with Norah a few times a week now. For guidance, we are using Drawing with Children by Mona Brooks. To date, we've drawn a bird, an abstract design, a lion and a horse together. 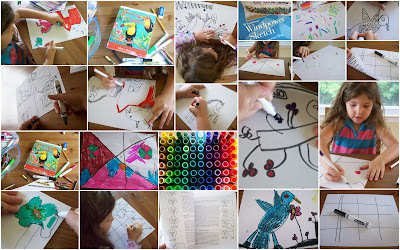 As the book suggests, Norah adds her own backgrounds to her pictures and finishes them with full color.